We are not just your usual tree service company! Richmond Hill Tree Service offers a wide range of services to residential and commercial properties across the York Region. As a full service tree care company we offer tree removal, tree trimming and pruning, tree stump removal, hedge trimming, fertilization and aeration as well as landscaping. Our goal is to provide comprehensive and affordable landscaping services that will enhance the beauty, health and safety of gardens and yards in Richmond Hill and surrounding areas. Our bonded, insured and certified arborists, landscape artists and garden technicians can turn your dream garden into a reality. Save Money – Landscaping on your own means having to invest in tools, equipment and materials needed and buying everything from shovels and rakes to fertilizer and plants can cost a lot of money. A professional landscaping company will have all the necessary high quality materials on hand to create your perfect garden. Not only that, they can also help you choose the best soil, turf and indigenous plants that are easier and cheaper to maintain. With Richmond Hill Tree Service, you can save money, time and energy by letting our Richmond Hill landscaping professionals do the work, while you spend time enjoying your garden. Increase Curb Appeal – A beautifully maintained yard is a sure way to boost your home’s curb appeal and increase your property’s value. Whether you are planning to sell your home or not, the benefit of a gorgeous landscape is yours to enjoy. At Richmond Hill Tree Service, we value our relationships with both our residential and commercial clients. We are committed to providing 100% quality landscaping and tree care services, caring for our client’s green assets to be enjoyed by generations to come. Peace of Mind – Having professional landscapers means you can have peace of mind that your garden is healthy and safe. When creating and maintaining landscapes we take your personal preferences and needs into consideration. We use green gardening methods that are safe for children and pets as well as establish maintenance schedules that fit your needs. 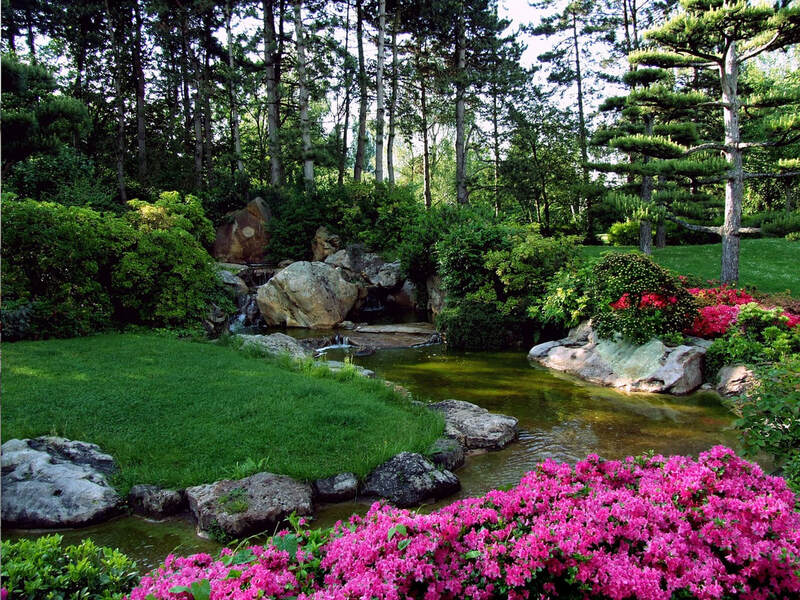 As a trusted York Region landscaping service, we know what makes a beautiful landscape. We have the technical knowledge, the artistic sensibility and the dedication to create the outdoor space you have always wanted. We can give you perfectly aligned trees, healthy hedges and a thriving garden that is attractive, sustainable and easy to maintain. If you are looking to update your garden design or you just moved in to a new property and looking to create a beautiful outdoor space, our professional Richmond Hill landscaping team is here to make it happen. Send us a message on this page and get a FREE estimate or call us at 647-490-9067 for more information on our services.